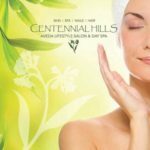 If you are an exceptional person and would love to be part of our Centennial Hills Salon team, we would love to hear from you. We are a commission, team based Aveda salon and day spa, offering hair services, nail services, spa services including facials and massage. We also carry the full line of Aveda retail products. We provide advanced education as well as an advanced apprentice program in the hair department. If this is the type of career you are looking for, let us know. We currently are accepting applications all positions. If you love what you do and want to work in a tranquil and nurturing environment, then let us know. We are looking for caring, positive minded individuals who want to make a difference in people’s lives by providing great service. A Nevada state license is required. Aveda training is a big plus. As of March 1, 2017 we have openings for Massage Therapists and are looking to fill our next group of Apprentice Stylists. Come in and submit an application in person or send us an email.